Last week was amazing! Why? I was in Disneyland Paris, yay! I only worked Monday to Thursday because on Friday we were driving to Disney. We set off very early Friday morning and reached Disney by the early evening. Friday night was spent in the Disney Village: eating at Annette’s Diner, doing a spot of shopping at the World of Disney store and having cocktails at Planet Hollywood. Saturday was park day, but I won’t go into that too much because I’ll be talking about our day in separate Disneyland Paris 2016 posts. We drove home on Sunday via Paris, getting back to the UK in the evening. I’ve also got a Paris post planned, where I’ll show you photos from the Notre Dam and Montmartre. We had an incredible time and I can’t wait to blog about our weekend. Anyhoo, onto my weekly favourites! Our Disneyland and Paris weekend without a doubt! The burgers at Annette’s Diner in the Disney Village. Burgers are one of the few meat items I eat and the ones at Annette’s taste so good. Of course I had to get a photo of them haha! 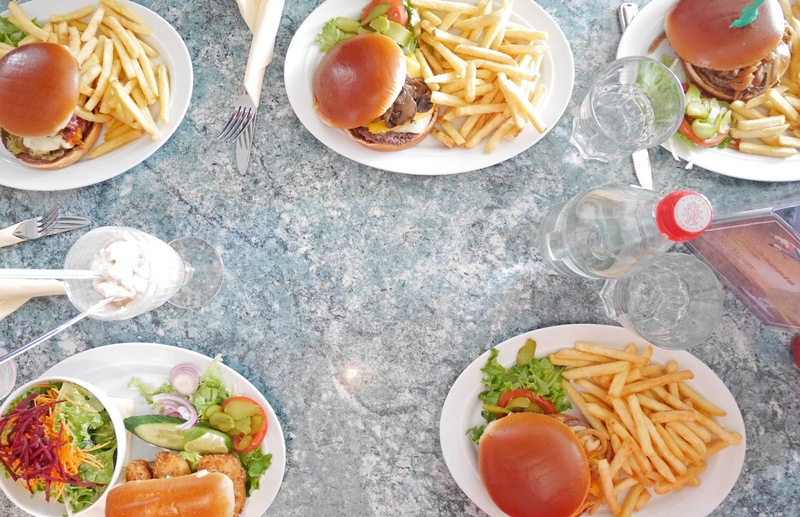 Annette's is a restaurant for those who love the fifties Rock and Roll culture. There's so many things to photograph and they always play brilliant music in there! Steph (Stephanie Ros Photography) was also in Disneyland Paris at the weekend and we met up on Saturday evening at the parks! She's been posting lots of trip photos to her Instagram and it's been so nice seeing what she's been up to, especially as she was there at the same time as me! Steph is amazing at photography, so make sure you go and follow her. A mix of Disney, lifestyle and travel posts. These are all lovely reads! Amber (Ambambe) - SNOOZING, SNORING AND SLEEPING. HELP & ADVICE. Lottie (Lottie Does) - Shanghai Disneyland Haul! Oh wow I never knew Annette's was so nice! It looks kind of rUn down from outside! Do they do milkshakes? !